Peggie ninjas and princesses and superheroes, oh my! No matter where you stand in the whole boy toy-girl toy debate, it’s a simple truth that sometimes little girls just want to be princesses and little boys, superheroes. 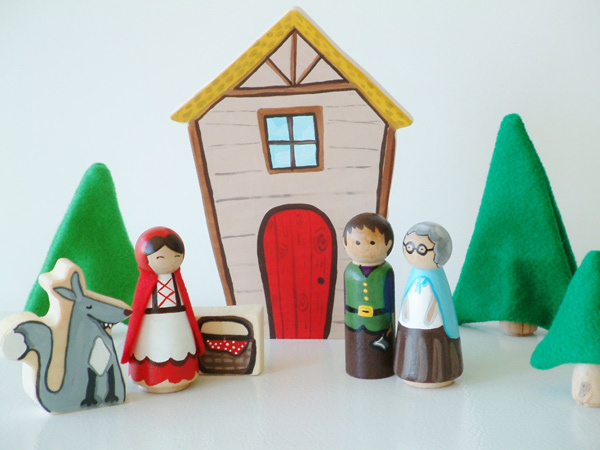 Let them be what they want to be with peg people from Zooble. Zooble boasts quite the most well-rounded, if not the cutest, collection of peg people we’ve seen in quite a while. 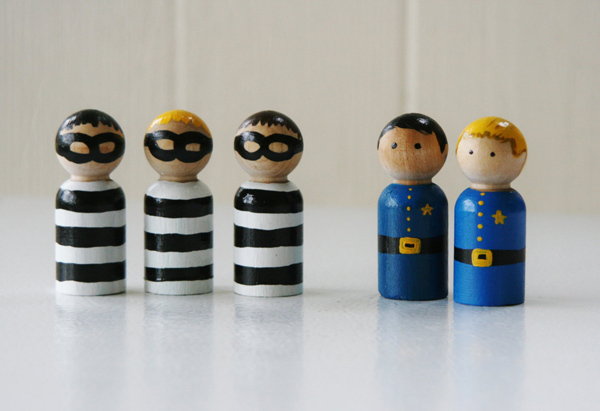 You can really let the kids’ imaginations run riot, with peggie cops and robbers, peggie ninjas, peggie gnomes and even an entire peggie Alice in Wonderland cast. Oh, and Red Riding Hood too. But wait, that’s not all. Any parent with a princess-obsessed youngster (note, I am raising my own hand here) will be trilling a Disney princess-esque tune at the realisation that Zooble make an entire peggie collection of princesses, from Ariel and Rapunzel all the way to Snow White and Pocahontas. 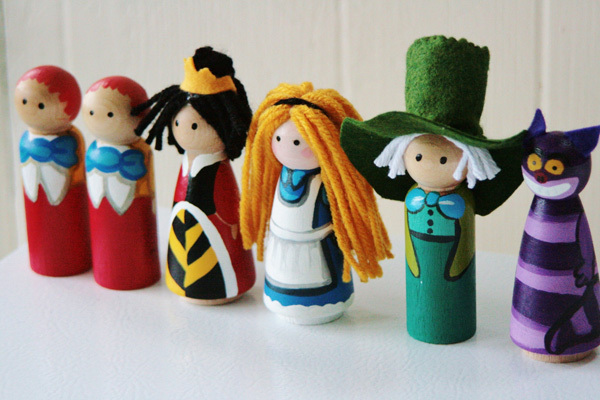 With little matching wooden princes. And wicked nemeses too. My daughter’s eagerly awaiting the arrival of Princess Elsa and Princess Anna of Frozen fame to the Zooble royal family! 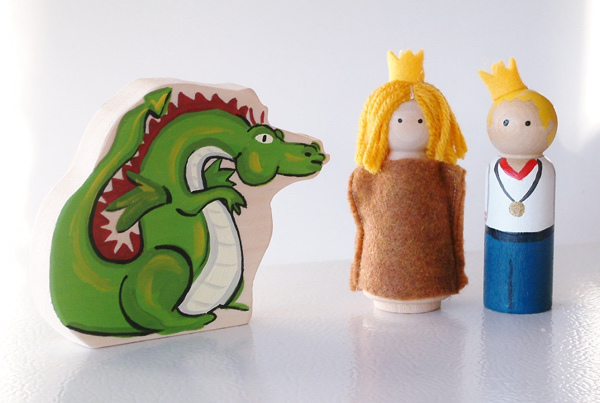 Fans of more literary style princesses might be interested to know there’s even a paper bag princess set with dragon and painful prince too, for recreating Robert Munsch’s brilliant story of the feisty princess who doesn’t conform. If all that cuteness hasn’t left you in a complete spin, how about this little guy. 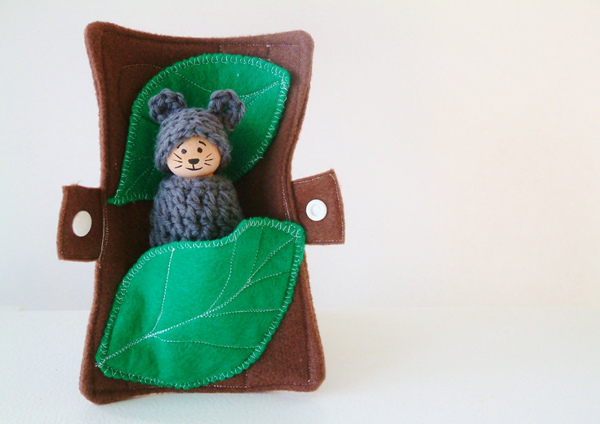 A peggie bear wrapped up in his own little felt log. Perfect for popping into the nappy or handbag for play on the go. Now, don’t hold me to this, but I’m fairly confident that these little peg dolls might in fact fit into the Make Me Iconic wooden trams and ferries so beloved by our readers. Imagine, a tram-load of superheroes and princesses. Brilliant! 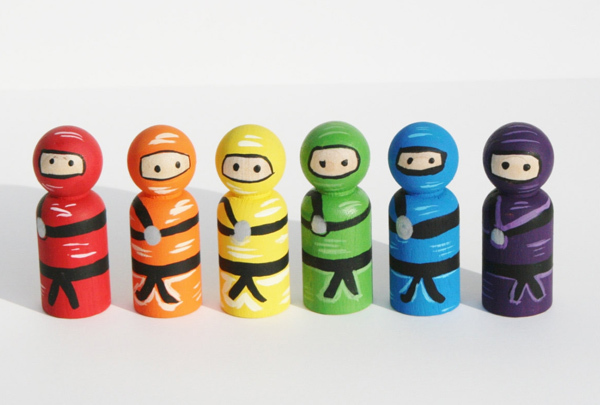 Find the peggies in all their non-toxic painted glory at Zobble on Etsy. 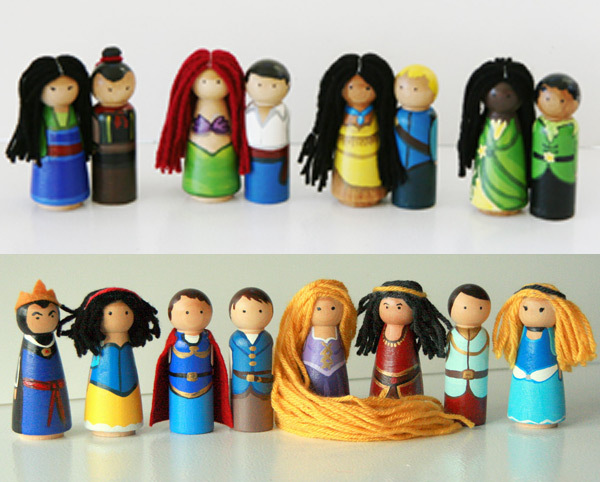 Single peg dolls are priced from $4 and sets from $18. 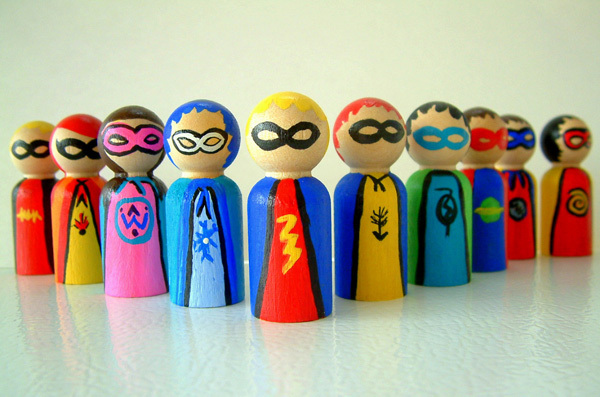 It may interest you to know that Jessica Dodge, the artistic talent behind Zooble, can customise peggies too, including superhero peggies that resemble the kids or an entire family of peggies that look just like you and yours. Shipping to Australia is available.